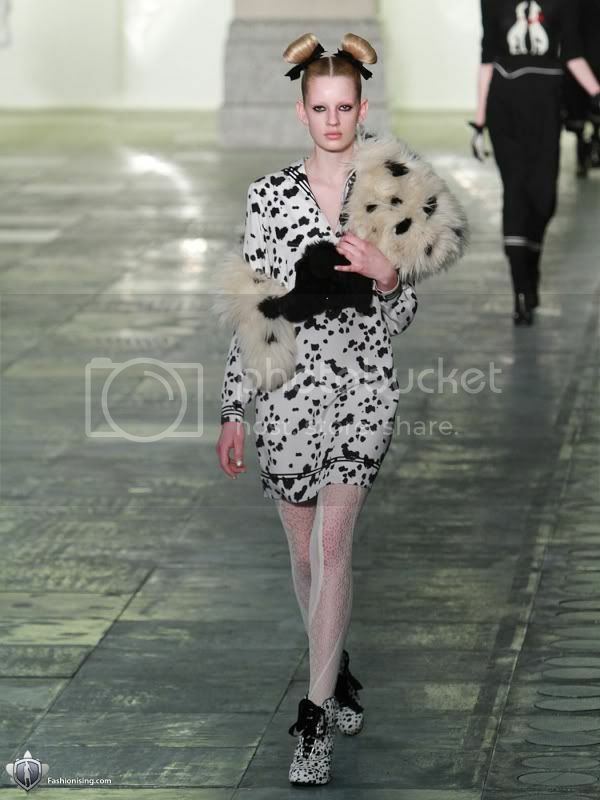 We're absolutely smitten with Topshop Unique's show and their Dalmation inspired collection. The models even had cute little pooch noses. The Unique show is always a favourite of ours, but we're not sure this collection has knocked their last A/W collection off our top spot.... we've still made a mental wishlist though! 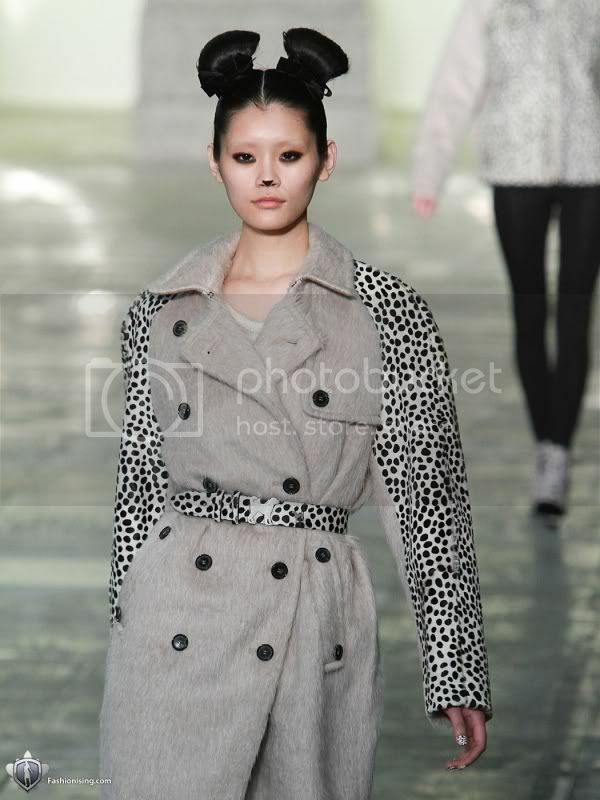 The collection had a slightly more grown up feel to it with the luxurious textures and fabrics with Art Deco details but they still kept the Topshop tongue-in-cheek-charm with the Dalmatian print nails doggy prints. We can't wait to see what they come up with next season! Aaah cute! I'm loving those tights you can just glimpse in the final picture...are they double sided?! I don't care if it's a kid movie--101 Dalmations is one of my favorites. I need that sweatshirt with the puppies! I agree last years show was great but I love the prints and fabric in these outfits. I cant wait for them to start appearing in store. Why is it so far away!?!? !